Welcomes dogs of any size for charge of $20 dollar per pet per day. Please call before because they are flexible and might not charge for more than one pet per day fee. Super 8 Motel Defuniak springs allows three pets of any size for a fee. $20 per pet per night for pets over 25 lbs and $10 per pet for pets under 25 lbs. Welcomes a maximum of two pet, of any size per quest room for an additional $20 per pet, per night. Additional pets may be accepted with approval prior to booking. Welcomes two pets of any size for an additonal fee of $25 per night. Welcomes two pets of any size for an additional fee of $45 per stay. Welcomes two dogs under 20 lbs for an additional fee of $10 per dog, per night, and two dogs over 20 lbs for an addiontal fee of $15 per dog, per night. No cats allowed. 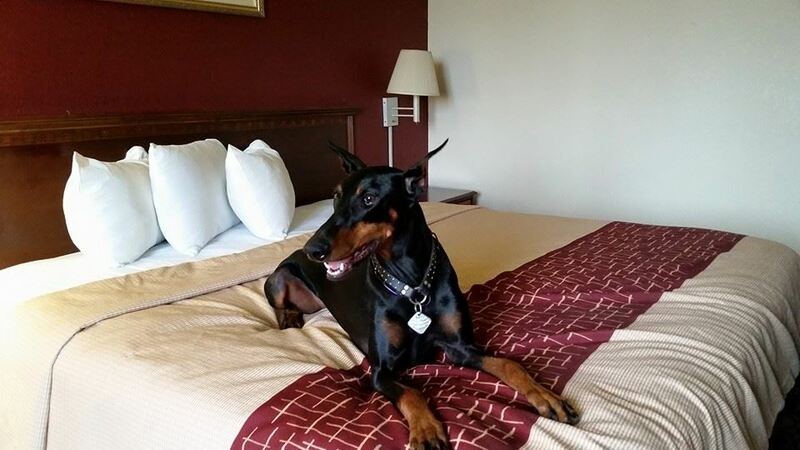 La Quinta Inn & Suites Dothan is dog friendly. Two pets of any size are welcome for NO additional fee. First and second floor rooms are pet friendly. Two pet of any size are welcome for NO additional fee. Dogs and cats must be crated if left unattended in rooms. Welcomes two pets of any size for additional fee of $100 per stay. Pet-friendly rooms are limited. Americas Best Value Inn Marianna welcomes up to two pets, of any size, for an additional $10 per pet, per night fee. American Inn and Suites Marianna welcomes two pets of any size for an additional fee of $10 per pet, per night. Pet friendly rooms are limited. Pets must be crated if left unattended in rooms. Days Inn Marianna welcomes up to two pets, of any size, per guest room for an additional $10 per pet, per night. Marianna Inn & Suites welcomes up to two pets, of any size, per select guest rooms for additional $25 per stay. Pets friendly rooms are limited. Super 8 Marianna welcomes pets of any size for an additional fee of $20 per pet per night. There is no specified list on the number of pets per room. The hotel has a limited number of pet-friendly rooms. Dogs are allowed and must be kept on a leash no longer than 6 feet when outside your vehicle. Pets in the apartment will cost $7 dollar per pet per day. Pets in the RV in the campground will cost $2 dollar per pet per day. Dogs are allowed at Falling Waters State Park Campground, but they must be kept on a leash no longer than 6 feet when outside your vehicle, Pet fee charges may apply. Dogs are allowed at Falling Waters State Park Campground, but they must be kept on a leash no longer than 6 feet when outside your vehicle, and are properly cleaned up after. Dogs are allowed at the tent sites, but not in the cabins or buildings. Please call ahead because sometimes campgrounds maybe closed. Pet fee charges may apply.